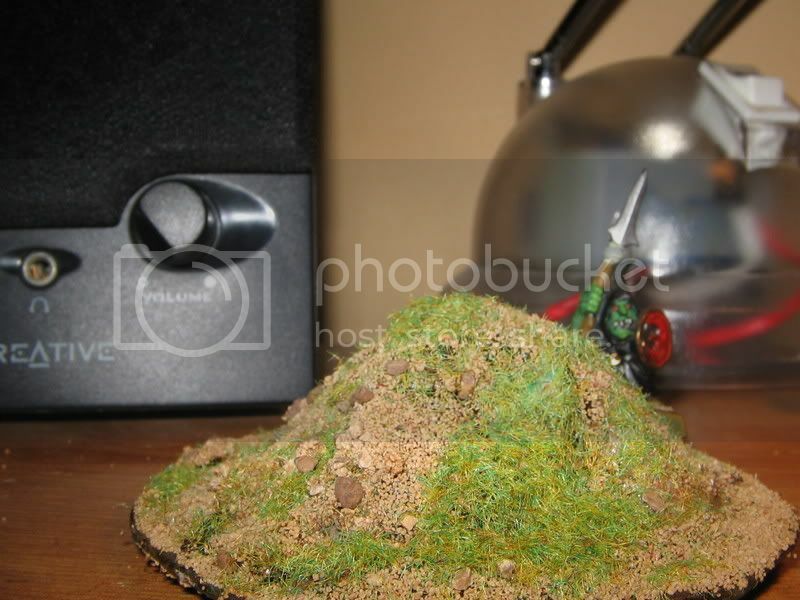 "hey they&#39;d make great small hills , dunes or even rubble piles for cityfight." 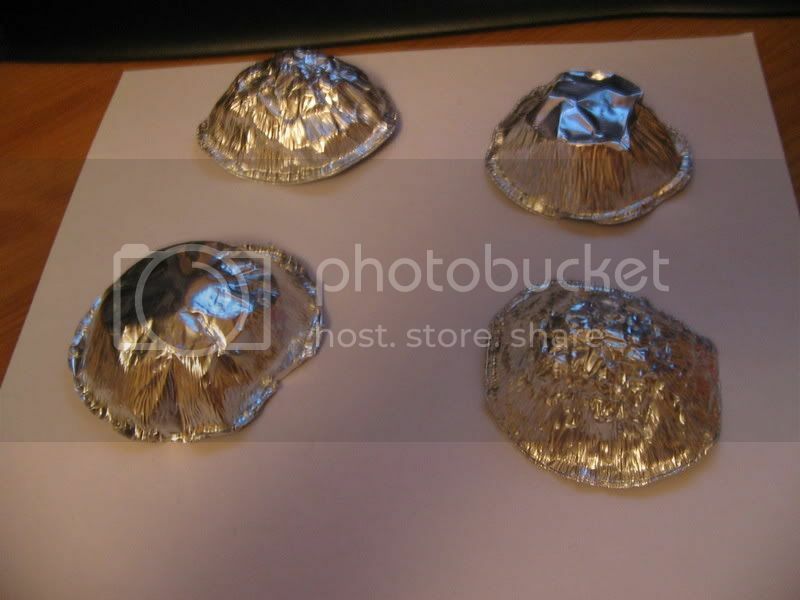 - Mince Pie Foil container (or any similair foil container the come with all sorts of small pies. 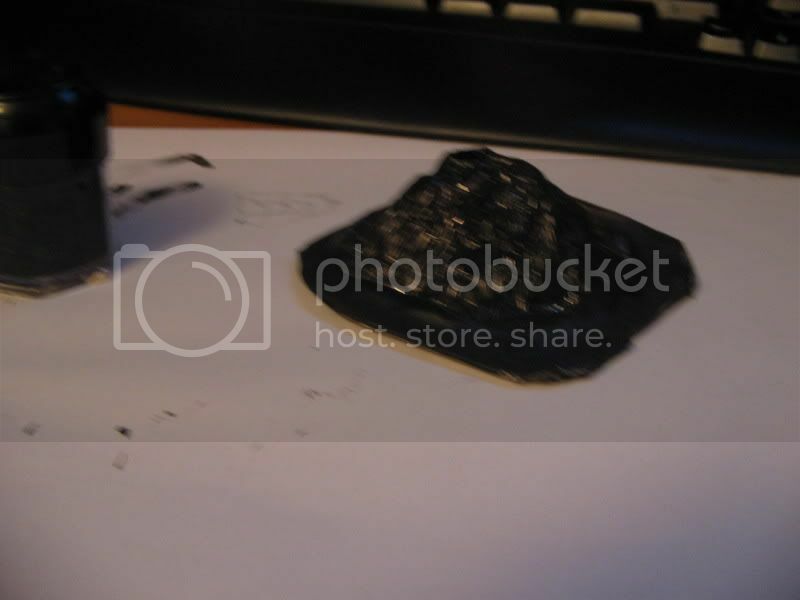 - Paint , its easier to spray it as it gives a better coat but you can do it the hard way like me and hand undercoat it. 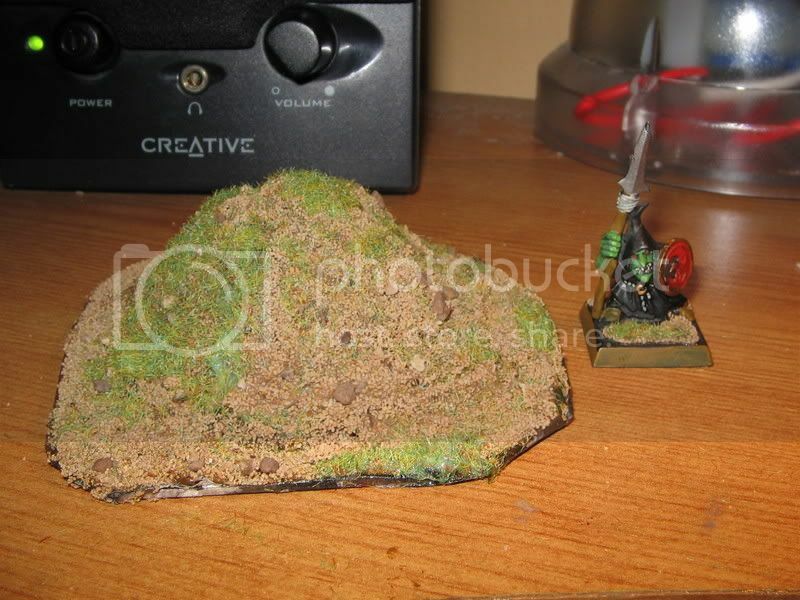 -Flock of your choice , I used GW sand and GW static grass for my sand dune but you could use rubble for cityfight or even snow , whatever you want! Crush the foil up a bit to give a less even shape then form it back into a slightly crushed cone type thing as seen in this picture. 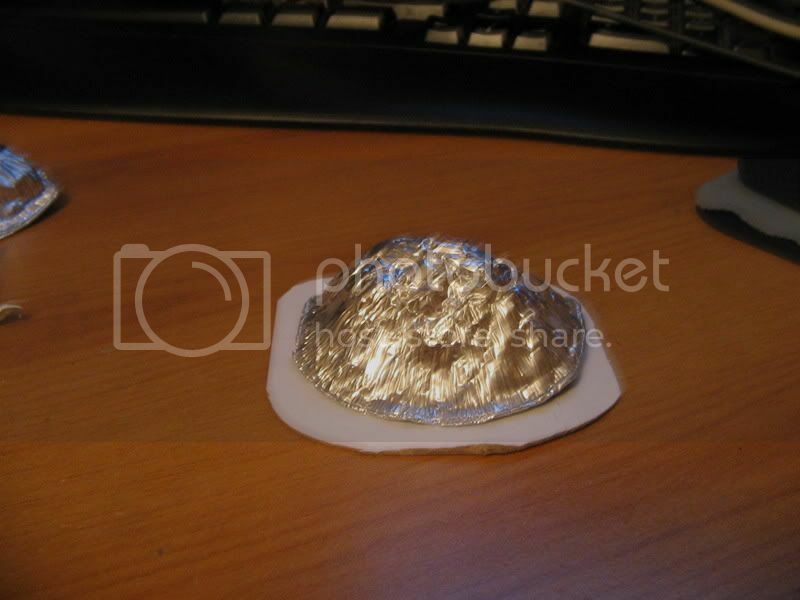 use masking tpae around the edges of the foil to hold it down on the base , there may be better ways to do this but I used masking tape. 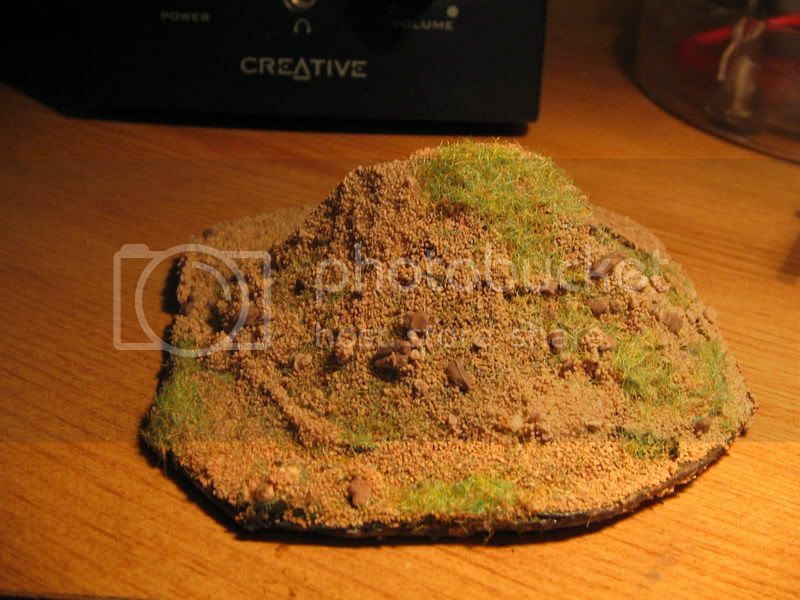 The rest is self explanatory just paint and flock as you desire , here are some pictures of my finished sand dune. The edges of the base will be touched up tommorow but this gives you a good diea of the finished piece. 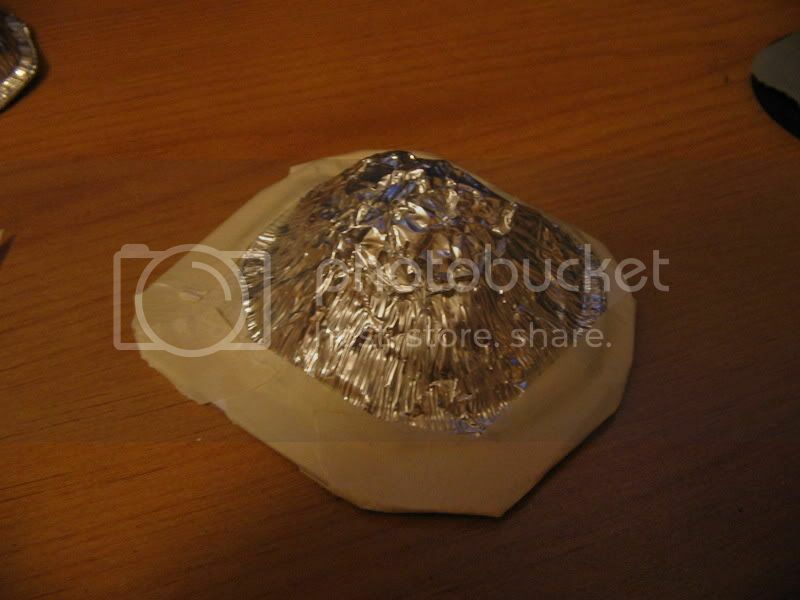 Hope this was a good tutorial , merry christmas and remember save those mince pie foil trays! that&#39;s very nice!,good idea as i eat pie for lunch with such foils! Yeah, its an easy idea, but whats point in-game? some kind of minor height advantage? Good job. 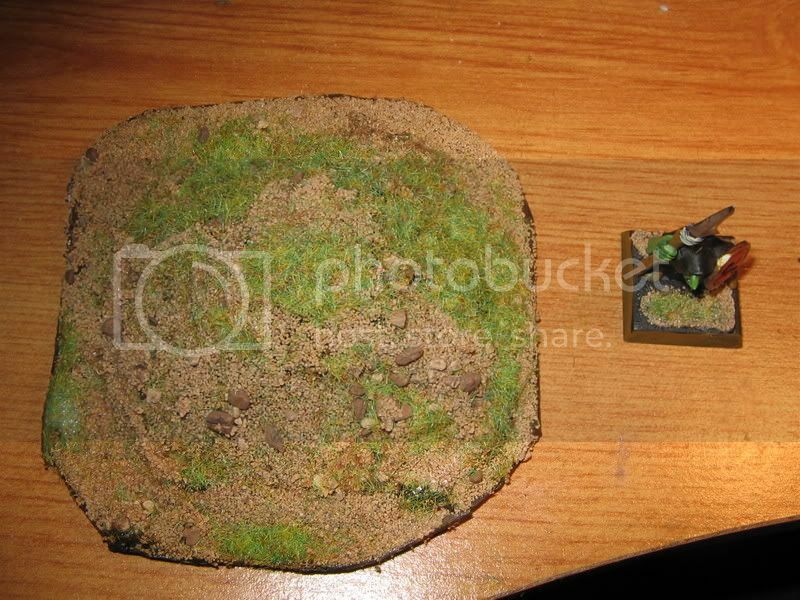 A simple easy to make piece of terrainyou probably should fill them with paper and rocks for strength and weight.